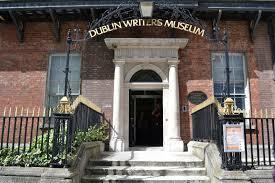 I stumbled on Emma Barrett’s blog today and was fascinated to see her description of her visit to the Dublin Writers Museum, which opened in 1991 (three years after I left Ireland, which is why I’ve never been there—but I’m shocked that I hadn’t even heard of it!). I love good travel writing and this is a fine example. I am not one for clichéd tourist destinations, always having preferred to browse the shelves of Shakespeare and Co in Paris rather than visit the Eiffel Tower. I am proud to say I have never been to Egypt or the pyramids, happy to leave that to the 3 million people who go there every year. 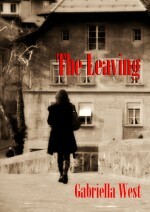 Gallery | This entry was posted in Travel, Writing and tagged Dublin, Dublin writers museum, Emma Barrett, Ireland, Irish writers, literary. Bookmark the permalink. 2 Responses to Dublin Writer’s Museum. Nice to meet you too, Emma! You have a very interesting blog, and I’m sure you’ll get plenty of reblogs in the future 🙂 WordPress makes it so easy. Thanks for your note.